This was the seventh time that I’ve seen Over the Rhine in concert, so I think I’m well-informed enough and justified in saying that the Ohio-based band always puts on a phenomenal show. Karin and Linford are not only top-notch performers — they know just how to pick a backing band, structure a set list, work a crowd — but they seem like downright good people, too. I’ve known all of this for years and years, but it’s reinforced every time I see them perform live. Karin and Linford aren’t on the road promoting any particular album; their most recent album of new material is 2007’s The Trumpet Child. They’re on the road because they love making music. They’re going into the studio shortly to start work on their next album, working with producer Joe Henry, and are doing it as a grassroots, fan-supported affair, and have already amassed a hefty list of supporters on their website. This is a band which has been making music for 20+ years, is loved fiercely by their fans, and does it all while hovering just under the mainstream. Their setlist included several new songs which they’ve been test-driving as of late, which may or may not make it onto the final cut of the forthcoming album. Shows highlighting new, unreleased material can be a little iffy — the audience doesn’t know the material, so it’s a little harder to keep them engaged. But these new songs fit in well, nestled between familiar favorites like “Drunkard’s Prayer” and “Cruel and Pretty”. They go right along with the natural evolution of Over the Rhine’s music and already feel like old friends, if you’ll allow me to personify a song for a moment. The new songs are introspective, ponderous little numbers, but not afraid to be lyrically playful: “Only God Can Save Us Now”, for example, is a song about the various people encountered in Karin’s mother’s nursing home, some of whom had Alzheimer’s or dementia, some of whom who have since died. I don’t know how many other songwriters can work the words “fuzzy wuzzy was a bear” into a song that isn’t appearing on a children’s compilation album. The new songs were accompanied by stories of their origins, both mundane and profound: adopting a dog, a life-long love, the loss of a parent. Over the Rhine’s three-song encore consisted solely of new (or new-to-us) songs: “Infamous Love Song”, a stunning song which shows off Karin’s powerful vocals; “No-Kill Shelter”, a song ostensibly about adopting a dog, but full of the clever word play and double entendres that crop up often in their music (see also, “North Pole Man”), and “Honey, You Don’t Know My Mind”, a Jimmy Martin cover led with some fantastic guitar work by multi-instrumentalist Kenny Hutson. 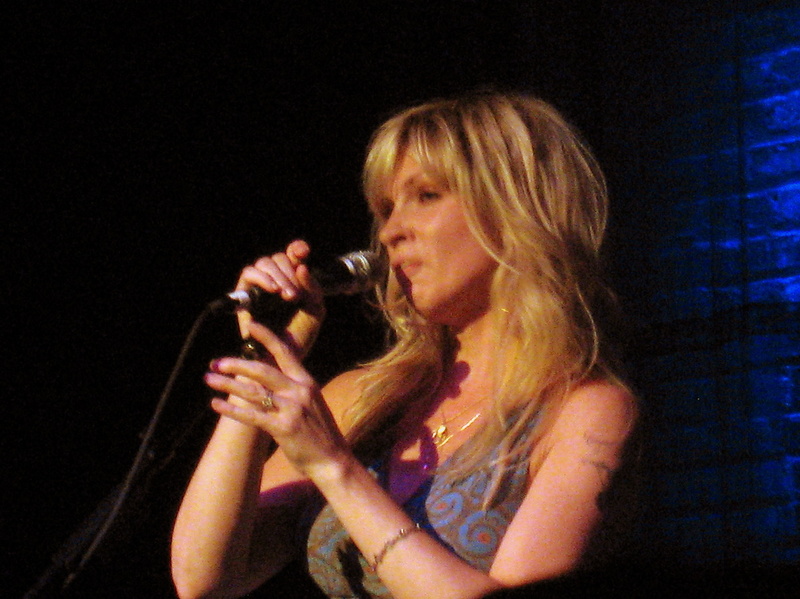 It’s a move that would be dangerous for less loved bands, sending you out the door with only vague notions of a new song in your head, but the packed house of Over the Rhine fans didn’t seem to mind. Lucy Wainwright Roche opened and was a delight to listen to, as usual. Even though I’ve heard her stories more than once, I still can’t help but find myself amused by them. She played a few old tunes, like “A&E”, her folksy cover of “Hungry Heart”, and a song she always dedicates to herself, as she’s spent the past several years touring, in a car, by herself — a cover of Richard Shindell’s “Next Best Western”. Lucy’s got a new album out, currently, but it’s a limited pressing, only available directly from her. I’m hoping that someday, she’ll get to do a headlining show out here in Chicago, where we’ll be able to hear more than just five or six songs. She certainly deserves it. Check out my photos from the show over on Flickr.